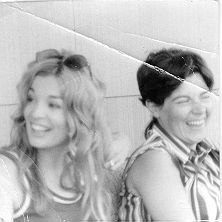 Margaret and her late sister-in-law, Jean Dragone, enjoying a beautiful summer day together in the early 1970’s. Jean passed away from breast cancer on October 22, 2011 after a long and valiant fight. It’s a tragic fact of life that many are battling cancer. However, to be battling cancer and to not be able to pay for the medical procedures needed to survive this terrible disease is unacceptable. It’s up to all of us to help those cancer victims with limited financial resources. We have reached our eleventh anniversary! The Margaret Rose Kennedy Foundation was incorporated in the state of New York as a domestic not-for-profit corporation on May 14, 2007. We raise funds via special events, Amazon Smile, donations “in lieu of flowers”, direct mailings, individual donations, and corporate matching contributions. Thanks to Michael Funk we have been participating in the Amazon Charitable giving program. Please Click on the above “Amazon Smile” page for further information. We also welcome contributions made in honor of individuals and events. Our current plan is to expand this venue with conveniently addressed contribution envelopes. Please click on the above Request for Envelopes Tab for more information.